If you watch a lot of YouTube videos then I am sure you've seen a couple of video challenges. Some of them are the "No Mirror Make-up Challenge" and the "3 Minute Make-up challenge". 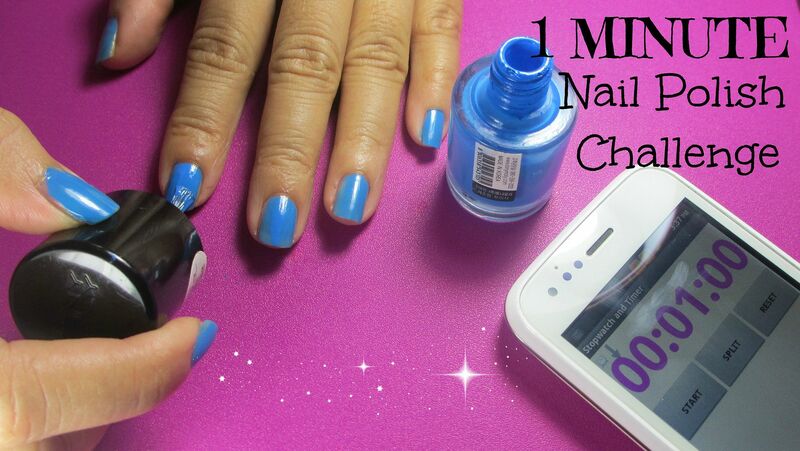 How about watching a Nail Challenge for a change? 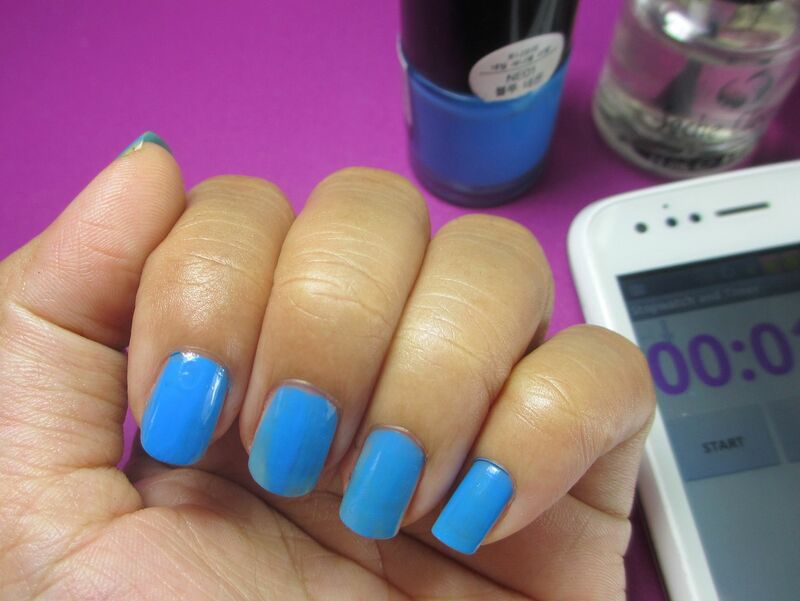 Here's my first ever challenge video on YouTube, the 1 MINUTE Nail Polish Challenge. Not many YouTubers have done it so I thought the idea was fresh so I went ahead and filmed my take on it. I saw a video by Renierainyday and I thought it was so fun and entertaining so I just had to film my version. Here are my nails. To be honest, I was not disappointed with how they turned out. My left hand was okay, very minimal flaw. The right hand however was a bit messy but still fine considering it's not my dominant hand. So... I TAG AND CHALLENGE YOU!! :) If you think you can do this or if you can do better than me, then go ahead and film your video, too. I would love to see how you guys paint your nails in limited time. Leave the link to your video below or leave it as a video response on my YouTube channel! Oh, I'm also thinking of filming a 5 minute nail art challenge, what do you guys think? Let me know!